Our Annual Holiday Party is our favorite event of the year and we want to see all our favorite people there! 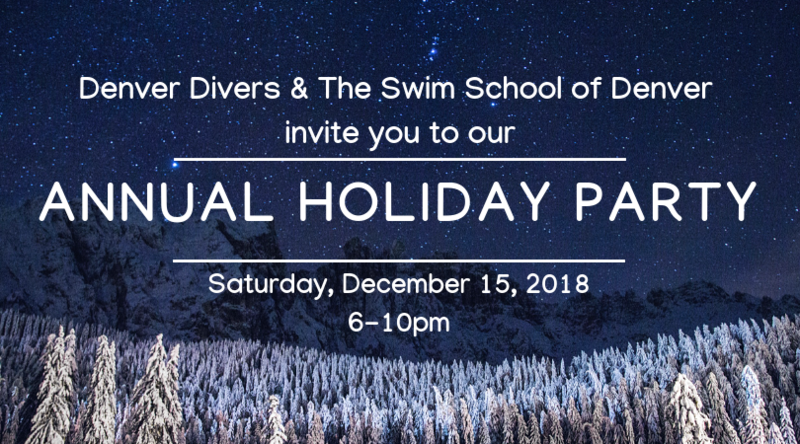 We believe we have the best divers and swimmers in the world and our annual end of the year celebration is our way of saying THANK YOU to all our amazing students, customers, and staff. We truly believe you are part of our Denver Divers & The Swim School of Denver Family and want to show you how much we truly appreciate having you in our family. Chef extraordinaire, Brian Hubner, will be delighting us with many tasty bites throughout the night and we will also have the cookie table filled to the brim. Drinks will be flowing and our annual End-of-Year Photo Show will be playing on all the TV's throughout the shop! That night Training Director, Wendel Benjamin, will announce our Master Diver Challenge winner, too! Calling all photographers! 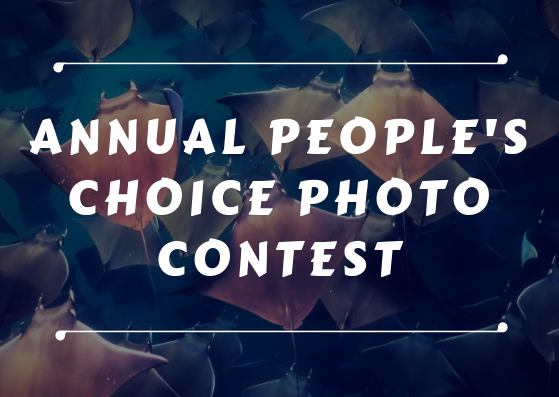 We would like to invite you to participate in our Annual People's Choice Photo Contest. Because, what would our life experiences while diving be if we did not share them with our fellow divers and friends? If you have a stunning photo from one of your amazing scuba trips, it is your scuba duty to enter it in our contest! That way, you can inspire others to share their experiences through photos, and brag about how you won the Denver Divers photo contest! Entry into the contest is free. All you need to do is bring in your 8x10 photo and we will mat it and put it up in the shop for display. Customers will have two months to vote from November 5 through December 31, 2018. We will announce the winners in the January 2019 newsletter. Winning photos will be added to the revolving show on our website and will be printed on canvas and hung on the walls at Denver Divers. Pick a category for your photo: Topside, Macro, Wide Angel, Marine Life, and/or Humor. Print your 8x10 photo on photo-quality paper with no border. Bring in your photo by November 1 with your name, category, and photo title and location taken written on the back of the photo. Don't worry, late entries are gladly accepted, but the sooner you give us your photo, the more potential it has to gain votes! Come in and vote between November 23 and December 31, 2018, and to see your photo displayed alongside the competition. Winners will be announced following the Annual Holiday Party, and prizes will be awarded in each category as well as an overall prize for best photo. Please drop your photos off at Denver Divers and we will mount them for display starting November 5. Join us to bring the joy of moving freely (underwater) to someone's life! Denver Adaptive Divers cordially invites you to our Annual Fundraiser Dinner and Silent Auction, featuring keynote speaker Charley Oxley of Scuba Schools International. Visit with the divers who have or will benefit from your generosity. Hear firsthand how your support is changing lives! 8:00pm - Live Auction: Includes specialty artwork, Cozumel travel opportunities, and much more! Please RSVP Here by January 19, 2019 or call us for more information, 303-399-2877 and ask for John or Janine. Learn how SCUBA diving impacted one of our recipients in "Justin's Story"
Recognition on all event correspondence including emails, promotional materials, at site signage, and more! 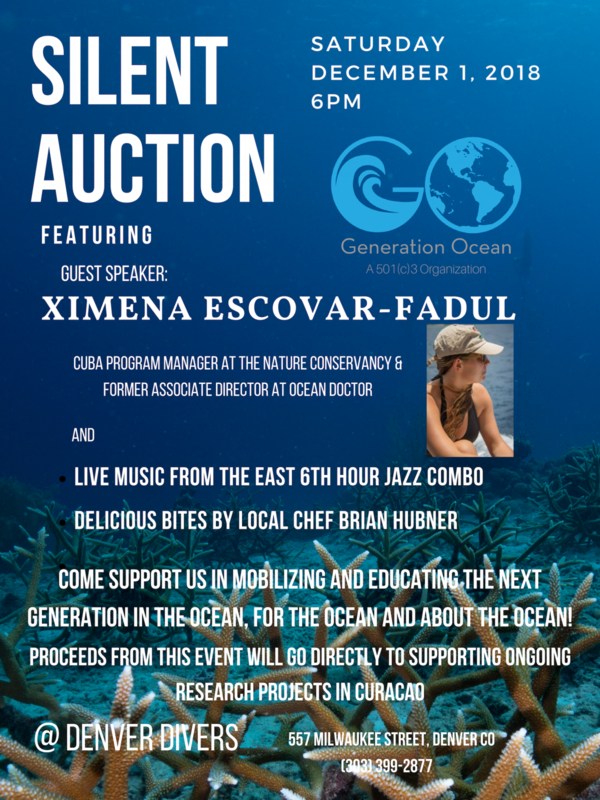 Come join us at Denver Divers for our first annual Silent auction Fundraiser for Generation Ocean! Our favorite chef, Brian Hubner, will be serving up some delicious appetizers throughout the evening and Generation Ocean's own Hugh O'Brien will be playing alongside his jazz band for the event. We are also honored to host special guest, Ximena Escovar-Fadul, who will be giving a talk on her work in Cuba with Ocean Doctor and now The Nature Conservancy. We have many incredible items to be auctioned off, including a week's stay in a stunning vacation home in Vero Beach, Florida, a trip to the New Orleans Jazz and Heritage Festival, local art pieces, Canvas & Cocktail classes, and much more! Let's kick off the holiday season with great food, wonderful music, and support for a fantastic cause. 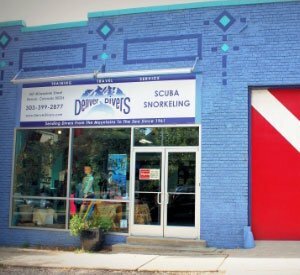 Much like Thanksgiving is a tradition across the US, Denver Divers has decided to also make shopping small a tradition for the holidays. We will be open Saturday, November 24 with great savings and deals on many new products, as well as our standby equipment. Come check out what we found at the annual dive trade show, as many items will be on sale and in stock. In addition, we will be offering a 10% discount on your total purchase if you present a receipt from another local business, showing you "Shopped Small" on either Friday, November 23 or Saturday, November 24. This deal will only be offered on Saturday, November 24, so don't miss out! We allowed too many wetsuits to come in, so we are passing the savings to you! We need to reduce our inventory and want you to stay warm while diving this winter. Men's Bare Sport Wetsuits - These Bare Sport men's wetsuits come in royal blue and black, with 3mm of protection in the core and 2mm on the arms and legs for ease of use. Regular price: $180 Sale price: $130, while supplies last! Women's Nixie Wetsuits - These Bare Sport women's wetsuits come in glacier blue and hot pink, with 3mm of protection in the core and 2mm on the arms and legs for ease of use. Regular price: $180 Sale price: $117, while supplies last! Come check out the new product to the store. We have many different items at significant savings, some not even listed here! GENERATION OCEAN FUNDRAISER AT CANVAS & COCKTAILS! Canvas & Cocktails in Cherry Creek has graciously decided to host Generation Ocean for a night of fun, and fundraising! 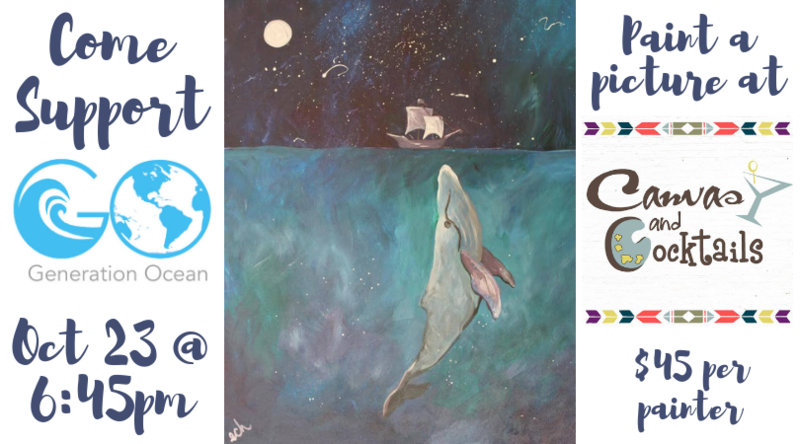 For $45, you will get to paint along with one of their professional guides while sipping one free drink and a portion of your payment will go to Generation Ocean! Additional drinks will be available from Canvas & Cocktails. Generation Ocean will provide appetizers and help with ideas for jazzing up your painting. Our paint along painting is sampled above, but you can always do your own thing too! Please join us Tuesday, October 23 at 6:45pm at Canvas & Cocktails, Cherry Creek (249 Clayton Street) for a night of fun and excitement to help raise much needed funds for Generation Ocean. Pre-registration is required through Generation Ocean and Denver Divers, so make sure to get your ticket and sign up Here! Denver Divers' Annual Underwater Poker Party and Fundraiser for Denver Adaptive Divers is finally here! Join us Saturday, September 15 for a night of fun and learning. We will be hosting an open house from 2-5pm, where attendees will learn all about our Adaptive Diving program and then at 5pm, the fun in the pool begins. All certified divers are invited to join us for the Underwater Poker Party at 5pm for an entry fee of $50. This will include the party as well as any equipment you may need and refreshments during and after you play poker. All funds raised will go to Denver Adaptive Divers' programs for getting people with physical disabilities certified! If you do not want to play, don't worry, we will have a lot of bubble watchers socializing on the surface. So, join us for some good food, good beverage, and great talk with your fellow Denver Adaptive Divers! Amy Lesh with the Galapagos Sky Liveaboard will be at Denver Divers on Thursday, September 6, 2018 at 6pm to answer all your questions about the Galapagos. Having been to the area many times, diving and touring the land, Amy will be a wealth of knowledge for those interested in traveling with us next year to the Galapagos as well as for those just interested in what the buzz is all about around the Galapagos. So, even if you don't want to join us on the liveaboard, this will still be a great presentation, filled with amazing videos and photos, as well as stories from this bucket list destination. Good food, good company, and great dive stories are always abundant at our Annual Summer BBQ, so don't miss it! 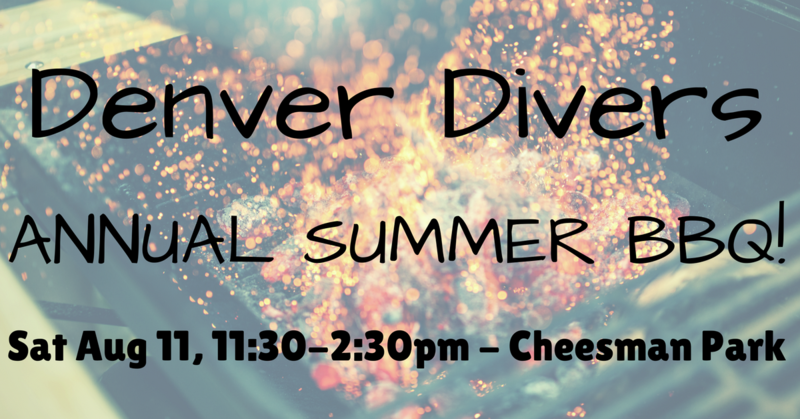 Join us on Saturday, August 11 from 11:30 am - 2:30 pm at Cheesman Park for some fun in the sun with your fellow Denver Divers. We will be meeting in the picnic area near the playground, which is one block east of Humboldt between 10th and 11th Avenue. This year, our favorite caterer Brian Hubner will be heading up the grill, bringing us amazing food. We will also have games for all ages, so invite your friends and family and we will see you there! Don't worry, we are vegetarian friendly, too! 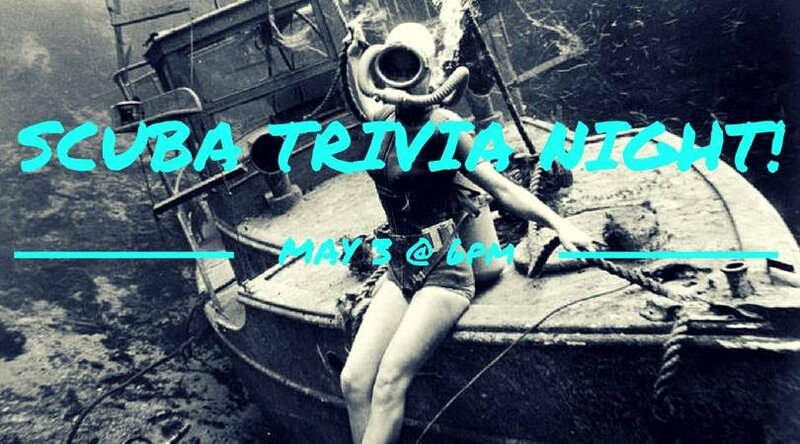 Come test your dive and underwater critter knowledge at our Scuba Trivia Night Thursday, May 3, 2018 at 6pm! We will bring back favorite topics such as fish id, scuba history, and geography as well as bring some new topics to test your smarts! Attendees will get in to groups and work together to come up with the most correct answers. You may bring a team or join a team, all are welcome. Prizes will be given after each round, with a grand prize for the winners at the end of the night! As always, we will provide snacks and refreshments to keep you nourished as you play along.